DuPage County State’s Attorney Robert B. Berlin announced today that former Warrenville Alderman Christopher Halley, 28 (d.o.b. 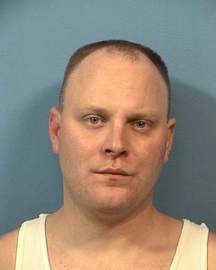 5/18/1983), of 2S030 Ascot Lane, Warrenville, has been sentenced to five years in the Illinois Department of Corrections for swindling thousands of dollars from acquaintances on several occasions and even while on probation for similar charges. In August, 2010, Halley was charged with two counts of Theft by Deception for accepting money from acquaintances promising tickets to sporting events including Chicago Bears and Blackhawks games. Halley never delivered the tickets or a refund to his victims. On another occasion, Halley took money from another acquaintance promising a “meet and greet” with former President George Bush. Once again, he failed to provide the meeting with the former President and did not refund his victim’s money. On October 1, 2010, Halley entered a plea of guilty to the charges and was sentenced to 94 days in the DuPage County Jail with credit for 47 days served and two years probation. While on probation, Halley swindled another acquaintance claiming he could help him obtain equipment for his business for $5,500. After Halley was paid the $5,500, he failed to provide the promised equipment or a refund to his victim. Halley will be required to serve 50% of his sentence before being eligible for parole.